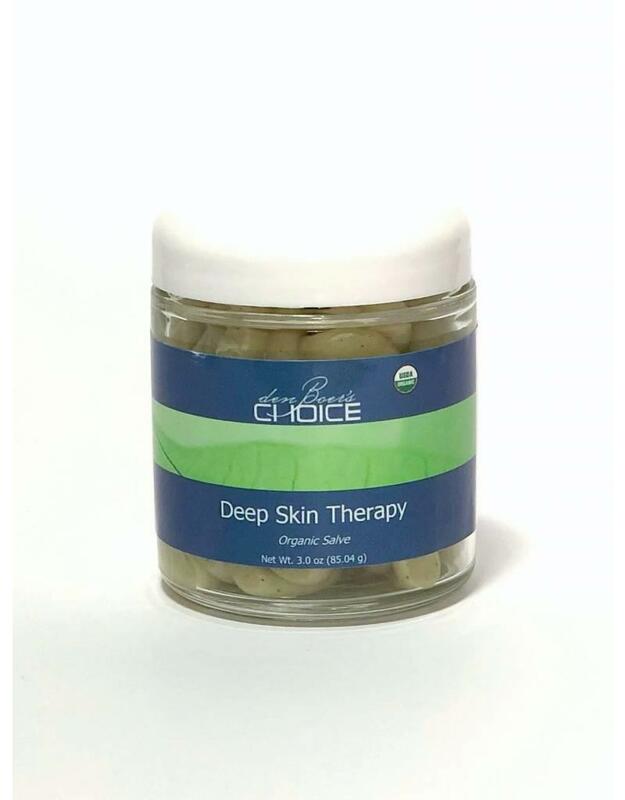 Deep Skin Therapy is an awesome combination product that reduces deep inflammation within skin while moisturizing and rejuvenating normalcy. 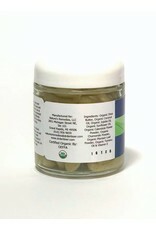 Can be used on dry and irritated skin as well as diaper rash. 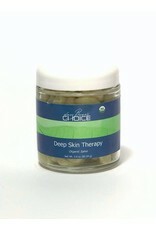 The skin treatment properties of pure organic Coconut Oil, Calendula and Jojoba oil aid in making this an excellent Deep Skin Therapy. 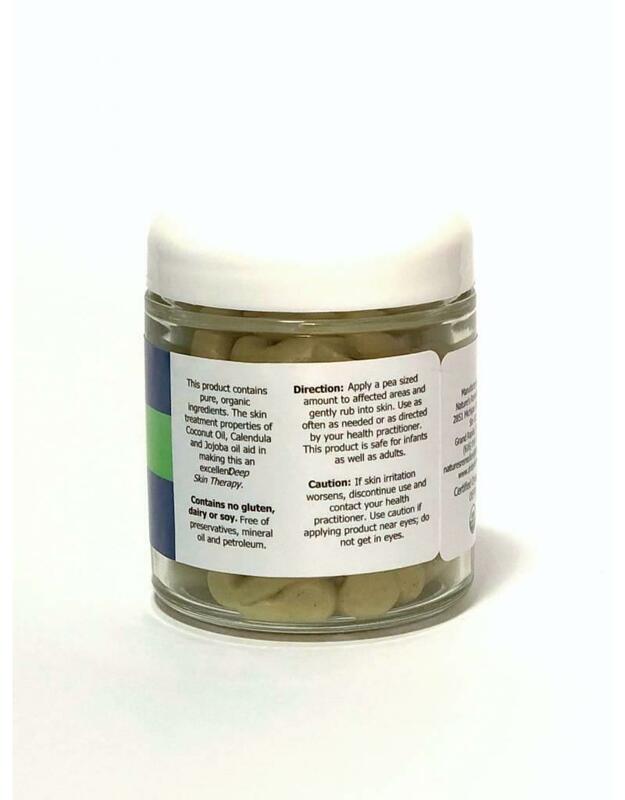 Directions: Apply a pea sized amount to affected areas and gently rub into skin. Use as often as needed or as directed by your health practitioner. 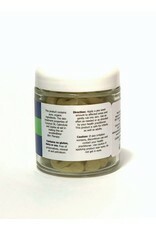 This product is safe for infants as well as adults. 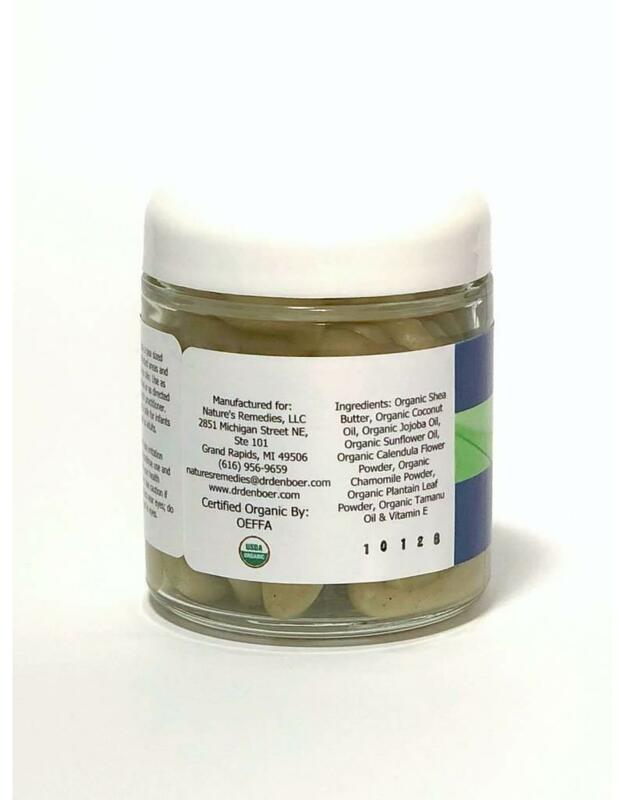 Ingredients: Organic Shea Butter, Organic Coconut Oil, Organic Jojoba Oil, Organic Calendula Flower Powder, Organic Chamomile Powder, Organic Plaintain Leaf Powder, Organic Tamanu Oil & Vitamin E.
Caution: If skin irritation worsens, discontinue use and contact your health practitioner. Use caution if applying product near eyes; do not get in eyes. Contains no gluten, dairy or soy. Free of preservatives, mineral oil and petroleum.